Hi bento pals! Sorry I have not posted in a while. I got sick last week and am still trying to get over the sniffles and cough that are SO annoying. This is my 160th bento post, and that means another donation to Redwood Empire Food Bank! Every 20 posts I make a $20 donation to Redwood Empire Food Bank. They provide meals to literally thousands of hungry people in the North Bay every day. As a food blogger I have the luxury to buy the foods I like and take time to make them look pretty, as well as share my bento lunches with my friends. For some people in my community, lunch may not be an option every day. They might have to pay the rent instead of buy groceries. This is my way of helping my community feed itself. I encourage YOU to make a similar commitment. Find a charity you can get behind and let your blog help those who need help the most! Ok, now for the fun part. It's GIVEAWAY time! The bento prize pack has a green two tiered bento box, a handmade bento box strap (the little fishy made by me! 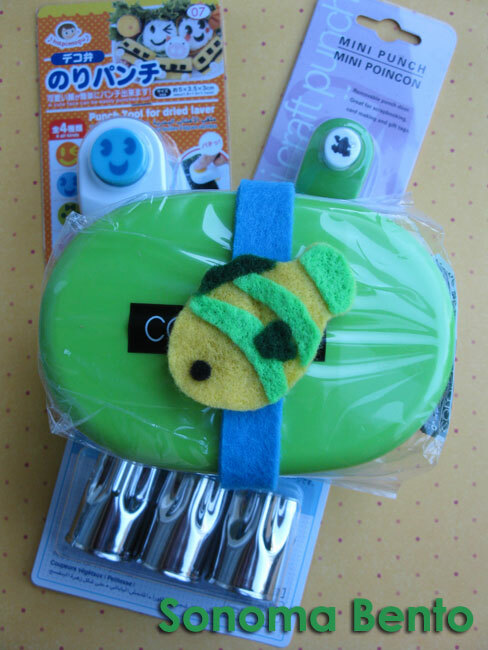 ), two punches for cute nori designs, a set of vegetable cutters, and a cookbook! 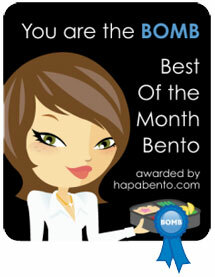 Here is the bento box you will win. It has two tiers and the upper tier has a fitted lid so you can add saucy items and they won't spill on everything else. 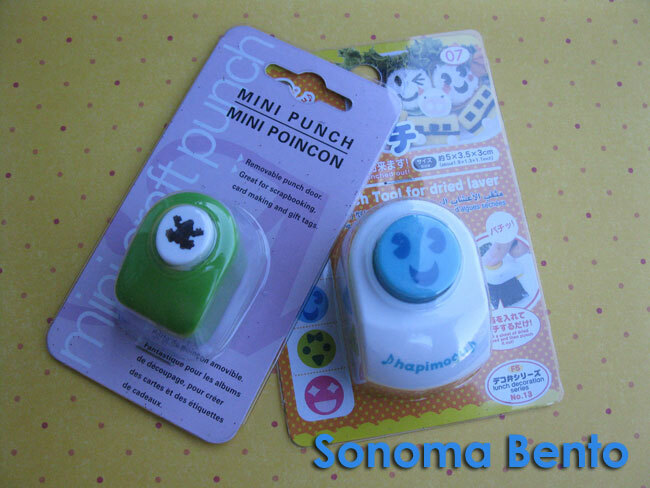 There are two fun craft punches: one is a frog shape, and the other is a smiling face shape. These are great for punching little details out of sheets of nori (dried seaweed) and adding interesting details to your bento box lunches. 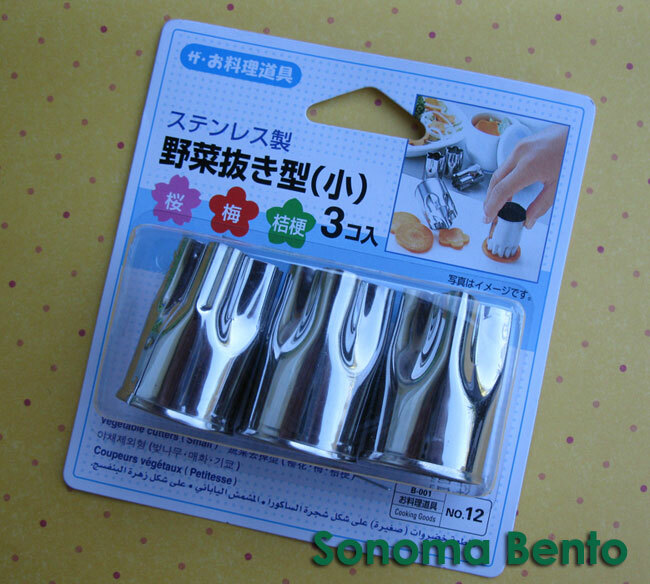 I love these vegetable cutters for adding quick cuteness to bento box lunches. There are three flower shapes in this set of cutters. Here is the cookbook you will win. 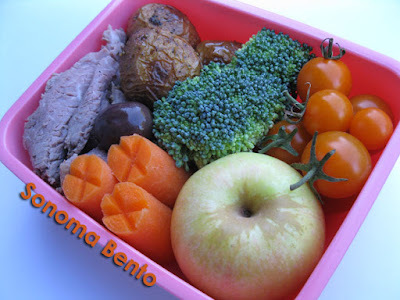 It is filled with great, simple recipes that will work in bento lunches. The recipes focus on fresh, seasonal ingredients. 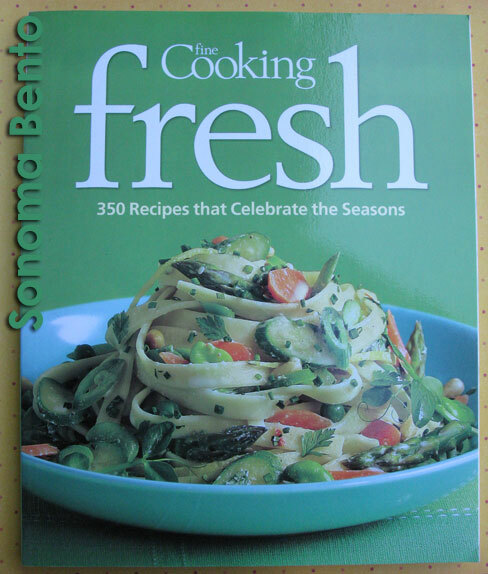 I really like this cookbook and have a copy that I use at home quite often! Now for the promised roasted potato recipe. 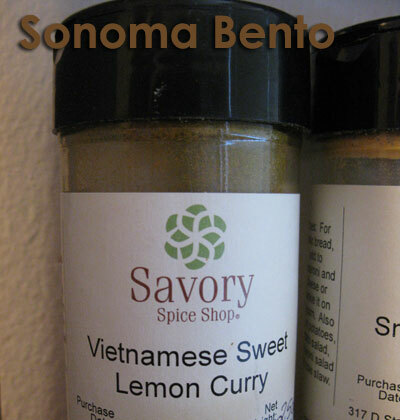 I used a spice blend from Savory Spice Shop in Santa Rosa, but feel free to use whatever spice blend you would like to flavor your version. Preheat oven to 425 degrees. Arrange potatoes in a baking dish in one layer. Drizzle potatoes with olive oil. Sprinkle potatoes with seasonings and then gently mix the potatoes around in the oil and spices to coat all potatoes. Place baking dish in the oven and roast for 40 mintues to 1 hour until potatoes are cooked through and their skins are a bit wrinkled. Cool before adding potatoes to bento. Can store in the refrigerator for 4 days. NOW it's your turn! :-) I would love to find out your simple recipes for bento ingredients! To enter the contest, simply fill out the form below. Please try to keep your recipes to 5 ingredients or less (salt and pepper do not count as ingredients) so that the recipes will be easy for anyone to try. You can also enter the contest simply by being a follower of this blog. 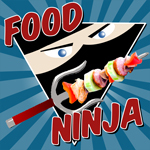 You don't have to send in a recipe, but I would love to see what you like to prepare in your bento lunches. 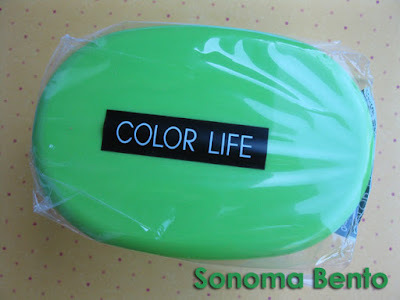 You can get extra entries in the contest by following me on facebook, twitter, and by following my new nail art blog at sonomanailart.blogspot.com. That makes a total of five possible entries per person. And yes, this contest is open INTERNATIONALLY! I will select a random entry from all entries on Wednesday, October 5th, 2011 at 6pm Pacific Time. And I will share all of the recipes sent in on a special page on this blog, so everyone can enjoy your ideas and try them out. Thanks so much for following my bento adventures and GOOD LUCK! Beautiful post--I'm so inspired by your food bank donation notion, Michelle! I see your Aquarian spirit shining though in the kind and generous ideas expressed here...and in such a fun giveaway! Thanks Bentobird! I did not come up with the donation idea, I was inspired myself by Susan of Hawai'i's Bento Box. She does the same thing ($1 donation per post) to her local food bank. It just feels like the right thing to do!